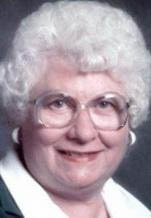 WATERLOO - Annette "Toni" Andrews, 88, of Waterloo, died Monday, June 20, at Lakeview Landing, Friendship Village, of natural causes. She was born April 4, 1923, in Wheelwright, Ky., daughter of Carl and Maude Parsons Hutton. She married Austin D. Andrews on Aug. 4, 1942, in Columbia, S.C. He died April 16, 2007. Mrs. Andrews was a secretary with the Waterloo Public Schools for 15 years, retiring in 1985. She was a member of the Elklets and the P.E.O. Survived by a son, David (Wendy) of Marion; a daughter, Kathy (Gary) Edwards of Marengo; four grandchildren, Kari Edwards, Joshuah Andrews, Jacob (Shawn) Andrews and Nathan Andrews; and three great-grandchildren, Abigail, Aidan and Anya Carlson-Edwards. Preceded in death by her parents; and a grandchild, Aaron Andrews. Graveside services: 11 a.m. Thursday at Waterloo Memorial Park Cemetery. There will be no public visitation. Kearns, Huisman-Schumacher Chapel is assisting the family.